Articles about Universal Consciousness and how the SCIET relates to these ideas. The Facts:Quantum physics has revealed astonishing discoveries, many of which challenge many long-held belief systems. It opens up discussions into metaphysical realities, and are thus labelled as mere interpretations due to the vastness of their implication. Reflect On:For a long time, authorities have suppressed ideas that are different, even if backed by evidence. Who is deciding what information gets out and is confirmed in the public domain? Who decides to establish something as ‘fact’ within the mainstream? In the very distant, ancient universe, astronomers can see quasars—extremely bright objects powered by enormous black holes. Yet it is unclear how black holes this large could have formed so quickly after the big bang. To solve the mystery, scientists proposed a novel mechanism for black hole formation. Rather than being born in the deaths of massive stars, the seeds of the most ancient supermassive black holes might have collapsed directly from gas clouds. Astronomers may be able to find evidence for direct-collapse black holes using the James Webb Space Telescope, due to launch in 2019, which should see farther back in space and time than any instrument before it. of vortex motion from the spinning disk of matter. which exist at all units of distance. or faster than the original first action (the first change). Image Credit: Mark Ross- Illustrated as understood today, the idea that the black hole is the source of gravity that attracts all the matter around it may be mistaken. In SCIET Dynamics it is viewed as a “portal”. 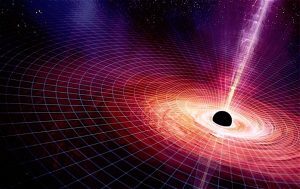 The black hole is actually an opening in the fabric of space created by the mass swirling around it that is the basis of all the physical affects associated with it. Could we tell the difference? If it is a vortex of matter, then it would indeed create a “hole”, just like a whirlpool or tornado creates a hole and the power it generates is concentrated in the matter at the edge of the hole. Imagine the universe in its infancy. Most scientists think space and time originated with the big bang. From that hot and dense start the cosmos expanded and cooled, but it took a while for stars and galaxies to start dotting the sky. It was not until about 380,000 years after the big bang that atoms could hold together and fill the universe with mostly hydrogen gas. When the cosmos was a few hundred million years old, this gas coalesced into the earliest stars, which formed in clusters that clumped together into galaxies, the oldest of which appears 400 million years after the universe was born. To their surprise, scientists have found that another class of astronomical objects begins to appear at this point, too: quasars. Quasars are extremely bright objects powered by gas falling onto supermassive black holes. They are some of the most luminous things in the universe, visible out to the farthest reaches of space. The most distant quasars are also the most ancient, and the oldest among them pose a mystery. To be visible at such incredible distances, these quasars must be fueled by black holes containing about a billion times the mass of the sun. Yet conventional theories of black hole formation and growth suggest that a black hole big enough to power these quasars could not have formed in less than a billion years. In 2001, however, with the Sloan Digital Sky Survey, astronomers began finding quasars that dated back earlier. The oldest and most distant quasar known, which was reported last December, existed just 690 million years after the big bang. In other words, it does not seem that there had been enough time in the history of the universe for quasars like this one to form. Many astronomers think that the first black holes—seed black holes—are the remnants of the first stars, corpses left behind after the stars exploded into supernovae. Yet these stellar remnants should contain no more than a few hundred solar masses. It is difficult to imagine a scenario in which the black holes powering the first quasars grew from seeds this small. To solve this quandary, a decade ago some colleagues and I proposed a way that seed black holes massive enough to explain the first quasars could have formed without the birth and death of stars. Instead these black hole seeds would have formed directly from gas. We call them direct-collapse black holes (DCBHs). In the right environments, direct-collapse black holes could have been born at 104 or 105 solar masses within a few hundred million years after the big bang. With this head start, they could have easily grown to 109 or 1010 solar masses, thereby producing the ancient quasars that have puzzled astronomers for nearly two decades. The question is whether this scenario actually happened. Luckily, when the James Webb Space Telescope (JWST) launches in 2019, we should be able to find out. Black holes are enigmatic astronomical objects, areas where the gravity is so immense that it has warped spacetime so that not even light can escape. It was not until the detection of quasars, which allow astronomers to see the light emitted by matter falling into black holes, that we had evidence that they were real objects and not just mathematical curiosities predicted by Einstein’s general theory of relativity. Most black holes are thought to form when very massive stars—those with more than about 10 times the mass of sun—exhaust their nuclear fuel and begin to cool and therefore contract. Eventually gravity wins, and the star collapses, igniting a cataclysmic supernova explosion and leaving behind a black hole. Astronomers have traditionally assumed that most of the black holes powering the first quasars formed this way, too. They could have been born from the demise of the universe’s first stars (Population III stars), which we think formed when primordial gas cooled and fragmented about 200 million years after the big bang. Population III stars were probably more massive than stars born in the later universe, which means they could have left behind black holes as hefty as several hundred solar masses. These stars also probably formed in dense clusters, so it is likely that the black holes created on their deaths would have merged, giving rise to black holes of several thousand solar masses. Even black holes this large, however, are far smaller than the masses needed to power the ancient quasars. Theories also suggest that so-called primordial black holes could have arisen even earlier in cosmic history, when spacetime may have been expanding exponentially in a process called inflation. Primordial black holes could have coalesced from tiny fluctuations in the density of the universe and then grown as the universe expanded. Yet these seeds would weigh only between 10 and 100 solar masses, presenting the same problem as Population III remnants. As an explanation for the first quasars, each of these pathways for the formation of black hole seeds has the same problem: the seeds would have to grow extraordinarily quickly within the first billion years of cosmic history to create the earliest quasars. And what we know about the growth of black holes tells us that this scenario is highly unlikely. The SCIET approach is much simpler. is simply being “portaled” there from the newer ones. interact with a matching frequency regardless of physical proximity. and older ones exist at a slightly lower frequency. Our current understanding of physics suggests that there is an optimal feeding rate, known as the Eddington rate, at which black holes gain mass most efficiently. A black hole feeding at the Eddington rate would grow exponentially, doubling in mass every 107 years or so. To grow to 109 solar masses, a black hole seed of 10 solar masses would have to gobble stars and gas unimpeded at the Eddington rate for a billion years. It is hard to explain how an entire population of black holes could continuously feed so efficiently. In effect, if the first quasars grew from Population III black hole seeds, they would have had to eat faster than the Eddington rate. Surpassing that rate is theoretically possible under special circumstances in dense, gas-rich environments, and these conditions may have been available in the early universe, but they would not have been common, and they would have been short-lived. Furthermore, exceptionally fast growth can actually cause “choking,” where the radiation emitted during these super-Eddington episodes could disrupt and even stop the flow of mass onto the black hole, halting its growth. Given these restrictions, it seems that extreme feasting could account for a few freak quasars, but it cannot explain the existence of the entire detected population unless our current understanding of the Eddington rate and black hole feeding process is wrong. Thus, we must wonder whether the first black hole seeds could have formed through other channels. Building on the work of several other research groups, my collaborator Giuseppe Lodato and I published a set of papers in 2006 and 2007 in which we proposed a novel mechanism that could have produced more massive black hole seeds from the get-go. We started with large, pristine gas disks that might otherwise have cooled and fragmented to give rise to stars and become galaxies. We showed that it is possible for these disks to circumvent this conventional process and instead collapse into dense clumps that form seed black holes weighing 104 to 106 solar masses. This outcome can occur if something interferes with the normal cooling process that leads to star formation and instead drives the entire disk to become unstable, rapidly funneling matter to the center, much like water flowing down a bathtub drain when you pull the plug. Disks cool down more efficiently if their gas includes some molecular hydrogen—two hydrogen atoms bonded together—rather than atomic hydrogen, which consists of only one atom. But if radiation from stars in a neighboring galaxy strikes the disk, it can destroy molecular hydrogen and turn it into atomic hydrogen, which suppresses cooling, keeping the gas too hot to form stars. Without stars, this massive irradiated disk could become dynamically unstable, and matter would quickly drain into its center, rapidly driving the production of a massive, direct-collapse black hole. Because this scenario depends on the presence of nearby stars, we expect DCBHs to typically form in satellite galaxies that orbit around larger parent galaxies where Population III stars have already formed. Simulations of gas flows on large scales, as well as the physics of small-scale processes, support this model for DCBH formation. Thus, the idea of very large initial seeds appears feasible in the early universe. And starting with seeds in this range alleviates the timing problem for the production of the supermassive black holes that power the brightest, most distant quasars. But just because DCBH seeds are feasible does not mean they actually exist. To find out, we must search for observational evidence. These objects would appear as bright, miniature quasars shining through the early universe. They should be detectable during a special phase when the seed merges with the parent galaxy—and this process should be common, given that DCBHs probably form in satellites orbiting larger galaxies. A merger would give the black hole seed a copious new source of gas to eat, so the black hole should start growing rapidly. In fact, it would briefly turn into a special kind of quasar that outshines all the stars in the galaxy. These black holes will not only be brighter than their surrounding stars, they will also be heavier—a reversal of the usual order of things. In general, the stars in a galaxy outweigh the central black holes by about a factor of 1,000. After the galaxy hosting the DCBH merges with its parent galaxy, however, the mass of the growing black hole will briefly exceed that of the stars. Such an object, called an obese black hole galaxy (OBG), should have a very special spectral signature, particularly in the infrared wavelengths between one and 30 microns where the JWST’s Mid-Infrared Instrument (MIRI) and Near-Infrared Camera (NIRCam) cameras will operate. This telescope will be the most powerful tool astronomers have ever had for peering into the earliest stages of cosmic history. If the telescope detects these obese black hole galaxies, it will provide strong evidence for our DCBH theory. Traditional black hole seeds, on the other hand, which derive from dead stars, are likely to be too faint for the JWST or other telescopes to see. It is also possible that we might find other evidence for our theory. In the rare case that the parent galaxy that merges with the DCBH also hosts a central black hole, the two holes will collide and release powerful gravitational waves. These waves could be detectable by the Laser Interferometer Space Antenna (LISA), a European Space Agency/NASA mission expected to fly in the 2030s. It is entirely possible that both the DCBH scenario and small seeds feeding at super-Eddington rates both occurred in the early universe. In fact, the initial black hole seeds probably formed via both these pathways. The question is, Which channel created the bulk of the bright ancient quasars that astronomers see? Solving this mystery could do more than just clear up the timeline of the early cosmos. Astronomers also want to understand more broadly how supermassive black holes affect the larger galaxies around them. Data suggest that central black holes might play an important role in adjusting how many stars form in the galaxies they inhabit. For one thing, the energy produced when matter falls into the black hole may heat up the surrounding gas at the center of the galaxy, thus preventing cooling and halting star formation. This energy may even have far-reaching effects outside the galactic center by driving energetic jets of radiation outward. These jets, which astronomers can detect in radio wavelengths, could also heat up gas in outer regions and shut down star formation there. These effects are complex, however, and astronomers want to understand the details more clearly. Finding the first seed black holes could help reveal how the relation between black holes and their host galaxies evolved over time. These insights fit into a larger revolution in our ability to study and understand all masses of black holes. When the Laser Interferometer Gravitational-Wave Observatory (LIGO) made the first detection of gravitational waves in 2015, for instance, scientists were able to trace them back to two colliding black holes weighing 36 and 29 solar masses, the lightweight cousins of the supermassive black holes that power quasars. The project continues to detect waves from similar events, offering new and incredible details about what happens when these black holes crash and warp the spacetime around them. Meanwhile a project called the Event Horizon Telescope aims to use radio observatories scattered around Earth to image the supermassive black hole at the center of the Milky Way. Scientists hope to spot a ringlike shadow around the black hole’s boundary that general relativity predicts will occur as the hole’s strong gravity deflects light. Any deviations the Event Horizon Telescope measures from the predictions of general relativity have the potential to challenge our understanding of black hole physics. In addition, experiments looking at pulsing stars called pulsar timing arrays could also detect tremors in spacetime caused by an accumulated signal of many collisions of black holes. And very soon the JWST will open up an entirely new window on the very first black holes to light up the universe. Many revelations are in store in the very near future, and our understanding of black holes stands to be transformed. New Observational Constraints on the Growth of the First Supermassive Black Holes. E. Treister, K. Schawinski, M. Volonteri and P. Natarajan in Astrophysical Journal, Vol. 778, No. 2, Article No. 130; December 1, 2013. Seeds to Monsters: Tracing the Growth of Black Holes in the Universe. Priyamvada Natarajan in General Relativity and Gravitation, Vol. 46, No. 5, Article No. 1702; May 2014. Mapping the Heavens: The Radical Scientific Ideas That Reveal the Cosmos. Priyamvada Natarajan. Yale University Press, 2016. Unveiling the First Black Holes with JWST: Multi-wavelength Spectral Predictions. Priyamvada Natarajan et al. in Astrophysical Journal, Vol. 838, No. 2, Article No. 117; April 1, 2017. 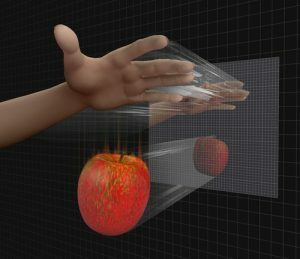 In this blog I explore the various philosophical, spiritual and theoretical implications of a holofractographic worldview, with a focus on its relation to consciousness, biology, mysticism, physics and cosmology. Combined, these topics may be ascribed to the field of Cosmometry – the art of measuring the universe. Cosmometry is the study of the geometry of nature, and of the basic processes, patterns, structures and principles that dictate all creation. 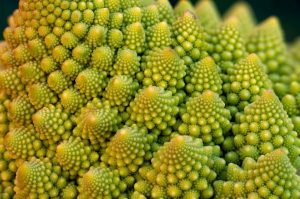 The fractal-holographic universe is a geometric understanding of reality and thus represents a divergence from the assumption of a universe composed of subatomic particles towards a recognition of nature’s underlying patterns. Both the inner and the outer world can thus be described as pattern-based systems through geometric shape, proportion or principle. Geometry is the purest expression of mathematics and it communicates to both our emotional and logical mind – our right and left brain hemispheres. In this sense, geometry is an effective tool that allows us to comprehend both intellectually and emotionally the deeper universal principles fundamental to reality and our communion with Nature. Simultaneously, geometry is a concrete, mathematical way to formulate functional physics applicable through all forms of science and technology. A basic premise in our explorations is that reality is a fractal-holographic phenomenon that arises in the synergetic interplay between dynamical and absolute energy. As such, dynamical energy is equivalent to conventional physics and consciousness – our familiar everyday reality including everything between heaven and earth. Absolute energy however is pure potential, perfect balance, unbounded existence and appertains to metaphysics – a transdimensional reality beyond space and time. Through a fractal-holographic model we describe the synergetic interactions between these and how cosmological and existential principles results in a continuous creation-process at all levels of being. 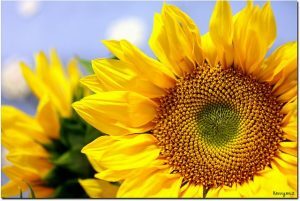 This blog covers all of these aspects of nature and how they together conduct the cosmic symphony! A holographic plate contains the totality of the picture in every point. It wasn’t until the advent of quantum mechanics and Heisenberg’s principle of uncertainty that we began to consider consciousness and energy as mutually intertwined. Currently there’s an increasing recognition across the sciences of the need to define the phenomena of consciousness within the framework of an astrophysical model; the observer plays an integral point of reference for any theory seeking to formulate meaningful physics. For the planet’s many wisdom traditions, however, this has been a basic premise for thousands of years; consciousness and energy as one. We’ll explore this field in more detail by analyzing the various principles fundamental to both energy and consciousness in their various forms. For all intents and purposes, within this blog, the two are regarded as synonyms – yet we distinguish between two different aspects of consciousness/energy; in its absolute and dynamical form. From the holographic perspective we may also understand both energy and consciousness as information. In its most elemental design reality can be considered as abstract information and from this perspective the human form and consciousness can be understood as boundlessly intertwined with space-time itself. Man is a pattern in space-time rather than a separate particle. Dynamic energy equals the reality of our everyday life, we have a physical body and a life in this world. Everything we sense, think and feel is fluidly dynamic energy and this energy is perpetually in a state of expansion or contraction – on the way to or away from a point of stillness and balance. We can understand the geometry of this flow as a torus wherein information is circulated and recycled, absorbed and radiated in a continuous feed-back loop. In a fractal holographic universe this self-reflective dynamic is the foundation of all information processing, perception and conscious experience, and thus the premise of all forms of systemic evolution. The torus is visible in all independently organized energy systems in the universe, from atoms to galaxies to humans and represent energy in its dynamic aspect. Fundamental to all matter and conscious experience is a unified field of absolute energy. In astrophysics this field is called the vacuum, the zero-point field or simply the singularity. Mathematical calculations indicate that it possesses an inexhaustible energy potential. We may understand the singularity in a metaphysical sense as Infinity itself in a state of total balance or as undifferentiated consciousness. Although metaphysical in concept it nonetheless makes itself apparent as the guiding principle behind all tangible form. The zero-point field rests in a state of complete equilibrium and may possess enormous energy-density without making itself visible though thermal radiation or distortion of space-time. Even though it’s everywhere it remains invisible to us, much like water to the fish in the ocean. We may understand this equilibrium geometrically as the “Vector Equilibrium” – a stable geometry of omnidirectional balance. 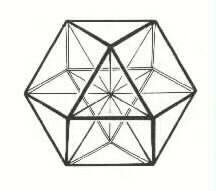 The Vector Equilibrium, or cubeoctahedron, is the only geometric shape that exhibits perfect structural balance through identical vector and angular relationships. In this flawless equilibrium all gravity, radiation, temperature, pressure, thoughts, feelings cancels out leaving behind stillness and a perfect vacuum – pure metaphysical potential. The interplay between energy in its absolute and dynamical form is the foundation of the Cosmic Symphony; all principles of creation arises in this meeting. These principles can again be understood geometrically as Phi spirals, golden proportions, fractals and holographic interference pattern. Based on these ideals Nature creates optimal economic efficiency of energy distribution, dynamical flow, organization, individuation and natural scaling of the infinite vacuum energy, resulting in the myriad of forms we see all around us. We’ll explore all of these aspects in detail elsewhere in this blog. Synergy is the mutual interaction between multiple elements in a system that produces an effect greater than the sum of their individual parts. Resonance is the ability of interacting systems to influence and reinforce each other’s natural frequency through their synchronised vibration and impulse. Although we can differentiate these components as unique, independently arising forms, they are nevertheless aspects of a single, unified whole. Below are the geometric principles of the fractal-holographic model illustrated in its most idealized and balanced form. This form is fundamental to how absolute energy unfolds into defined shape and three-dimensional space: it is both a symbol and a concrete depiction of infinity in balance and of astrophysical principles fundamental to our universe. 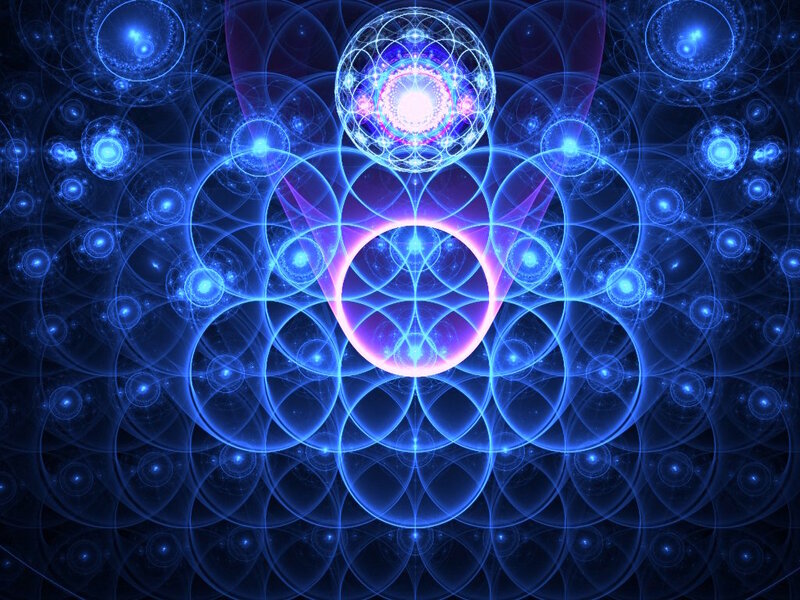 The Cosmometry Project is an initiative of Marshall Lefferts and its overall vision is to bring together the various aspects of cosmic geometry to an overall whole that supports our understanding and application of this knowledge. Many of the core ideas in this page originates from his work. Visit the site for more exciting information about basic cosmometric principles. The Resonance Project, based in Hawaii, is an organization founded by Nassim Haramein and serves as a center for education and scientific research on unified field physics (Unified Field Theory) and cosmometry. Harameins work on the Holofractograhpic Universe is our main frame of reference within this blog.